The new cut comes hot on the heels of the heavy magick of Tairrie’s self-directed official video for her song “BTCHCRFVT”, lifted from her new solo hip hop album Vintage Curses, released worldwide back in August. 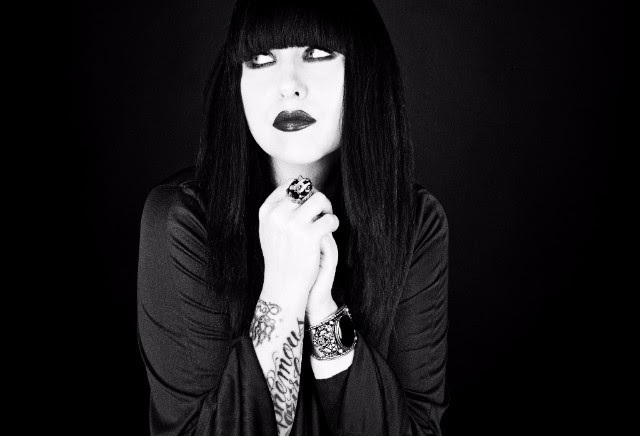 “Once again I’m thrilled to debut my latest remix which was conjured by London based producer extraordinaire Nina Mediatrix whose talents I discovered a few months back via Twitter when we first decided to join forces,” says Tairrie. You can download “Sky Above, City Below (Mediatrix Remix)” for FREE here, and grab your copy of Vintage Curses for FREE here.